Businesses that are ready to undertake a design center construction project need to know how to structure the project so the design center process results in the best structure for their business needs. This article will discuss ways that you can avoid common pitfalls and mistakes in the planning and construction process for a data center. When a business first identifies a potential need for a new data center, a full needs analysis should be conducted. If the analysis indicates that new data center construction is an appropriate solution, the next step is beginning the data center design process. After the design is completed, construction begins, and finally the installation of equipment, testing, troubleshooting will take place, followed by orientation and training for employees. One of the most common pitfalls in commissioning and constructing a data center is failure to build it with current technology. This may seem surprising given that it is a data center, but companies may have many reasons for not getting the most updated technology in their data center, including efforts to cut costs by using older technology or simply not knowing the latest technologies that are available. Before you begin your data center construction, think about consulting a data center professional to determine what kind of technology you should be incorporating so it is optimally designed for your business. Another common mistake made is not planning for future growth. When it comes to data center build, planning and implementing a data center that is exactly what your business needs today is a recipe for frustration down the line when you need to expand. Obviously no one can know for sure what your needs will be 5 to 10 years from now, but leave some room for expansion in the future so you will not have to go through the process of designing an entirely new data center in just a couple of years. A third common misstep with data center construction is failure to account for possible budget cuts down the line. Even if your upper management is on board with the project and approves the budget, often times as the deadline for completion nears, there is increased pressure to finish the project sooner than expected, and to cut costs. This is a major capital expenditure for any company, so it is important to have a plan B in place if your executive team or board of trustees begins asking to cut costs down the road. Finally, many teams that undertake a project like data center design and construction have difficulty simulating real-world conditions, and therefore fail to account for the level of heat loads and data loads that will be required to run the system seamlessly on a daily basis. Additionally, if the data center design you have that is specifically designed for your business requires you to put multiple systems together, they may not have been tested in proximity to one another and could cause potential problems. While it may be difficult to have a test-run that is a perfect simulation for a true scenario that your data center may face, it is important to understand that once you get it all put together and running, it may require some tweaks. If you have an adequate plan that accounts for the many known and unknowns in data center construction, and you understand that you may also have to change that plan as the project develops, you will be ready to construct a data center that is optimally designed to handle your business needs today and well into the future. 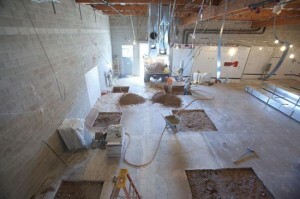 This entry was posted in Data Center Build, Data Center Construction and tagged data center build, Data Center Construction, scottsdale data center build company, scottsdale data center construction company. Bookmark the permalink.